The opportunity of each spouse to earn income or acquire assets in the future. This list includes just some factors the court will assess in dividing assets and liabilities. Additionally, it is important to note that an “equitable” division does not necessarily require mathematical equality. Illinois courts have varied in their approaches and the ultimate outcome of who is responsible in allocating the responsibility of student loan debt. For instance, in Marriage of Thornley, the court found that Husband should be solely responsible for the payment of his student loan debt. In this case, Husband attended chiropractic school during the parties’ marriage while Wife worked and supported the family. Wife’s income constituted the majority of the deposits into the parties’ joint accounts, from which some of Husband’s school expenses were paid. They had some assets, including bank accounts and a brokerage account, and they had various credit card debts in addition to Husband’s student loan debt. The trial court awarded Wife the brokerage account and other personal property, and all bank accounts in her name. Wife’s assets totaled approximately $30,000. The trial court also required her to pay all financial obligations in her name. Husband was awarded a vehicle and bank accounts in his name, for a total value of approximately $5,000. The trial court required husband to pay for all debts in his name, including his student loan of over $140,000. The appellate court affirmed the distribution of assets and liabilities. The court found that a significant amount of the 503 factors favored an unequal distribution in favor of the Wife. It noted that Husband relied on Wife for support while attending school, Wife paid some of his school expenses directly, and that Husband had a significantly greater earning potential upon graduating chiropractic school. In addition to using the factors in 503 to allocate student loan debt, Illinois courts have also used the maintenance factors set forth in Section 504, and included student loan monthly repayment estimates into maintenance. 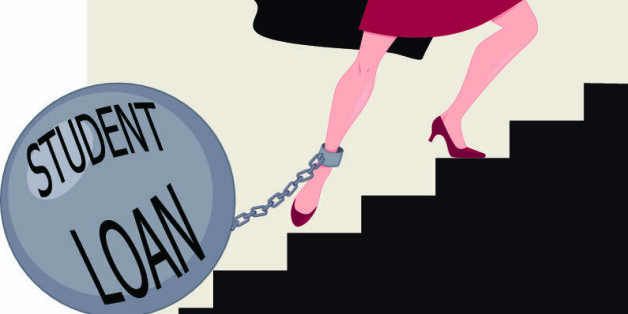 In Marriage of Logsdon, the court ordered Husband to pay Wife maintenance, which was calculated based on his gross income and Wife’s estimated monthly loan payment. In this case, Wife applied for graduate loans during the marriage and intended to borrow money only for tuition and books. With some convincing from her Husband, Wife accepted additional loans for living expenses, which were used to pay marital bills and some of Husband’s premarital liabilities. The trial court applied the 503 factors and allocated approximately 72% of the student loan debt to Husband, and approximately 28% to wife. In doing so, it reasoned that Husband earned more than twice as Wife. 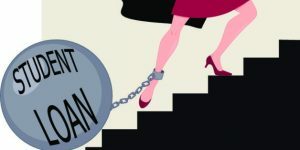 The court noted that Wife’s monthly loan payment was $1,041 per month, and to ensure that Husband paid his share of the loans, the court ordered him to pay his percentage of the loan as maintenance to Wife at a rate of $755 each month. As you can see, the allocation of marital debts depends heavily on the surrounding circumstances of the case. No one fact is determinative of the court’s decision. If you have any questions about student loan responsibility during a divorce, please contact us.